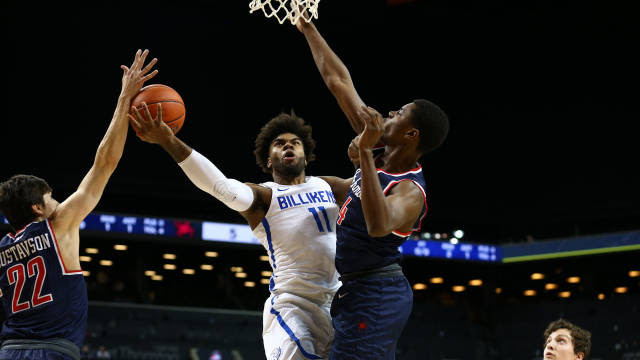 BROOKLYN, N.Y. – Saint Louis sophomore forward Hasahn French finished with 22 points and 12 rebounds as the Billikens registered a come-from-behind 71-68 win over Richmond on Thursday in the second round of the Atlantic 10 Conference Men’s Basketball Championship at Barclays Center. With the victory, SLU advances to face third-seeded Dayton on Friday at 7:30 p.m. (CT). The game will be televised on NBCSN. It was the 20th win of the season for the Billikens, who improve to 20-12 overall. Richmond ends its season 13-20. French was 11-of-16 from the field en route to his 22 points. Coupled with his 12 rebounds, he is the second Billiken in school history (Anthony Bonner) to post 10 or more double-doubles in a single season. Tramaine Isabell Jr. (17 points) and Javon Bess (14 points) also scored in double figures for the Billikens, who won a game in the A-10 tourney for the fourth time in as many years. Jordan Goodwin (nine points, 10 rebounds and four assists) and Fred Thatch Jr. (seven points) also contributed to the Billikens’ effort. Saint Louis shot 50 percent in the first half and finished 47.5 percent for the game. Free-throw shooting plagued the Billikens (50 percent for the game), but Bess hit five in a row late in the game to seal the win for SLU. The Billikens dominated the glass, out rebounding Richmond 42-20 including a 27-6 advantage in the second half alone. The Spiders led by as many as 11 points in the second half before the Billikens came back for the win. Richmond led 36-30 at halftime, as the first half saw six ties and four lead changes. Back-to-back 3-pointers by Thatch and Isabell sparked SLU to an 8-0 run with less than five minutes to go, and the Billikens held on for the win. Friday’s game will be the third time SLU and Dayton have met this season. 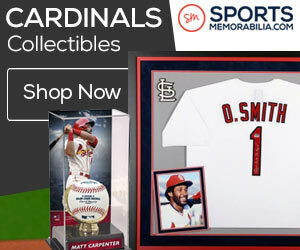 The teams split the two games in the regular season – SLU defeated Dayton 73-60 Feb. 5 at Chaifetz Arena, and Dayton won 70-62 Feb. 23 at UD Arena.